so they become more independent as they grow older. "Our children will make all of the most important decisions in their lives - on their own. A "Quick Fix for Misbehavin' Kids"? My wife Barbara and I have spent much of our adult life sharing our vision of parenthood with countless groups of people across the United States. 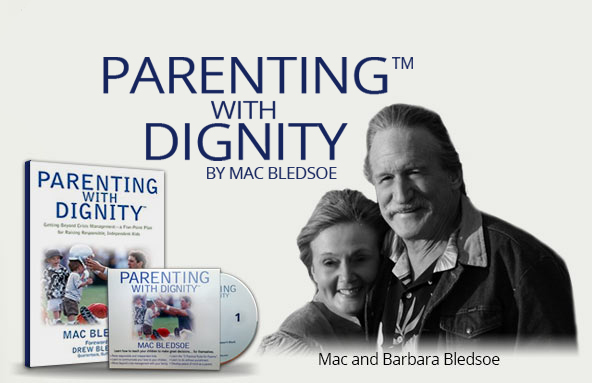 As a direct result of the generosity and vision of our son Drew Bledsoe the Parenting With Dignity™ curriculum, is available to every parent.